For those who fought in World War I there were two likely outcomes: they would die or they would be damaged either mentally or physically and often both. For the women who loved them life was less certain. Anna Hope has written a beautiful book following the five days prior to the internment of The Unknown Warrior at the Cenotaph. 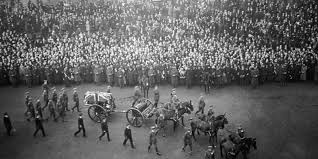 Each chapter is a day and each of those days follows the journey of the coffin from France to Britain for the ceremony. The depth of descriptions of each the lives of the three women featured is outstanding, Ada, 45, whose son never returned from the war. Evelyn almost 30 and lives with a friend, another spinster and goes to work each day in the Pension Exchange interviewing the wounded and Hettie who lives with her mother and shell-shocked brother Fred who is employed as a dancer at The Hammersmith Palais de Danse. As the days go on the more we learn about these poor lost women and the men who surround them. The book could be considered a little confusing to begin with as the women are introduced with no real link between them, all are unhappy and yearning for something better. This is a book that leaves you in no doubt that the two short years since the war ended has not healed the wounds inflicted upon the nation. All three women reveal more of their backstory as the book goes on. I am a fan of this kind of writing where the details are revealed layer by layer and our knowledge of the character grows throughout the book. I always feel that this is more like real life where we know the basics when we first meet someone, make a judgement based on the things they do and say and then if we get to know them better revise our judgements based upon knowledge of the reasons behind them and Anna Hope has mastered this to perfection. The little things that are revealed are among the most poignant in this book, who could not get a lump in their throat when an understated sentence is thrown in about an injured soldier paying sixpence to have a dance with a dancer employed by the Palais, wooden leg being a hindrance to bringing his own partner to the dance. 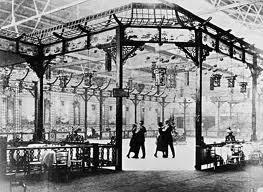 The historical details are also well-researched; The Hammersmith Palais de Danse was opened in 1919 and one irate clergyman was quoted as stating ‘the morals of a pigsty would be respectable in comparison’ (We Danced All Night by Martin Pugh) as the dances included American Jazz. For me this was a beautiful, if incredibly moving read, bravely, in this the hundredth anniversary of the start of the war, containing far more anti-war sentiment than many set in this time period. I received this book from the publishers Random House UK, ahead of the publication date of 16 January 2014, in return for this honest review, something I am extremely grateful for as this book is one of those that will stay with me for a long time. This sounds really good–onto the TBR list it goes. Side note–have you read the NF book “Stranger In The House: Women’s Stories Of Men Returning From The Second World War” by Julie Summers? It focuses on British women after the war. I picked up a used copy last week–it looks quite interesting, and perhaps something you would like as well. 🙂 Stranger in The House sounds like a great accompainment to this novel… Will put it on my list to check out. Thanks for the recommendation. A very nice review. I usually don’t read in this time period, but when a book is so well researched, it would only add to my understanding of the time period. Thanks for the review. Aw thank you. I liked it as it reflected the lives of three women of different ages and it is beautifully written. I saw a review for this book in The Sunday Times Culture and, along with your review, they have both made me really want to read this book. I may have to pre-order it. Thank you Yasmine, It is a great read and it really gets under your skin! I’m at that point where I almost don’t want to start a new book just yet. That’s something that doesn’t happen very often to me! I’m undertaking a WW 1 themed read this year with some other people from a librarything group. I know others are already considering this as a book for later in the year. It sounds lovely. I think this would be a great group read as there is such a lot covered in it and therefore loads to discuss. Although the blurb indicates it’s about the three women, it is also about the men who fought and returned home. Thank you Fiction Fan. I do like a good historical story and this was one of the better ones although I read such a lot of it with a lump in my throat. The way it cleverly made you realise how much everyone’s lives changed following the war was so powerful. Always love a good historical fiction! I’ll have to add this to the list. Thanks! You must, it is a really good example of historical fiction which puts you right into the time period, I think it is the little details that do it! This sounds fantastic! I received a review copy of this one, too, and you’ve made me really excited about it. I’m so pleased, I really enjoyed seeing life in the 1920’s through different women’s eyes. I’m glad you enjoyed it too. I really enjoyed the way the story told so much essentially over 5 days! I’ve suddenly started seeing this book everywhere. It sounds beautiful. And you’re right, revealing little bits of a character along the way is much more like real life. 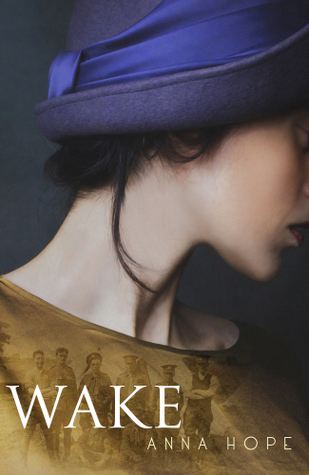 It is a really different to lots of the books that are set around World War I. Anna Hope writes beautifully! Great review! I also like it when a book reveals details bit by bit. Like you said, that’s more like real life! You were right. I really did like this book although I have a feeling I would have enjoyed it even more if I’d read it in English. So glad you enjoyed it… still one of my favourites of 2014!